Here's one from Red Bull Cayman Islands Freedive Team! This shot works! 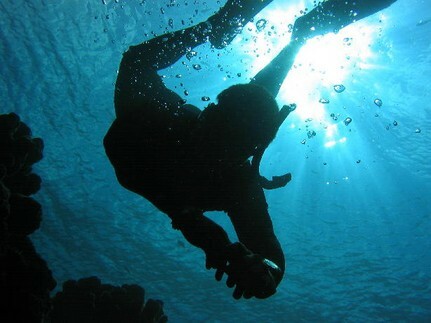 Diver's black shape against the blue sky looks just beautiful.